Ricoh has just unveiled two Document Management Systems aimed respectively at logistics companies and the public sector. These Solutions have been developed in partnership with the software house Novadys Communication. 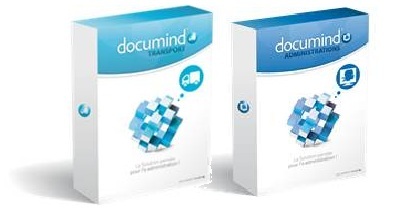 Documind Transport improves the tracking and management of delivery notes, which are critical in this sector. The Solution makes the handling of delivery notes simpler, quicker and cheaper, and improves reactivity in handling customer issues. The Solution manages the scanning of customer orders in lots and stores them automatically in the customer folder. Access to both delivery notes and orders is via a secure web interface. Documind Transport complies with both ISO9001 and SQAS (Safety and Quality Assessement System). Ricoh developed the special connector which integrates paper documents straight from the screen of the Ricoh MFP into the Documind workflow system. Documind Administration improves communication with the public and other stakeholders by improving the management of incoming and outgoing data. The Solution automates the handling of correspondence both received and sent, call handling and both access to and searching for documents. These recurring tasks are a significant burden on most public sector organizations. With the Ricoh-developed connector, incoming mail is scanned by date and then transferred to the relevant department. It becomes instantly possible to see which letters remain unanswered. In a similar fashion, tasks which have not been attended to within deadlines can cause email alerts to other users. Documind Administration provides complete tracability in the process of handling correspondence.